I have used a USB Wireless Modem in over 15 countries, this page explains how to buy, configure, GIG usage needed as a Mobile Office Traveler. Andy Graham a professional traveler and webmaster teaches you how to use an USB Wireless Modem to Access the Internet anywhere. The Internet access is now available anywhere with th a USB Wireless Modem. There there is software on the USB Modem, you plug the thumb drive into an available USB port and, the software loads, and the chip contact the local cellular towers. If you are line of site, and close to the Internet tower, a five bar signal can give you a great Internet connection. It is best to go the main company that sells the USB Wireless Internet access, do not go to a distributor. The general cost in the developing world is about 10 Dollars for the modem and 30-50 Dollars per month for Pre-Paid USB Broadband Wireless Internet Access. 1. Take laptop to store. 2. Purchase and test while in the store, do not pay until the USB Modem works. 3. Place a piece of tap on the modem and write the activation date, so you know when a month is completed. There is a way to take the SIM card chip out of the broadband modem and check using a normal cell phone. 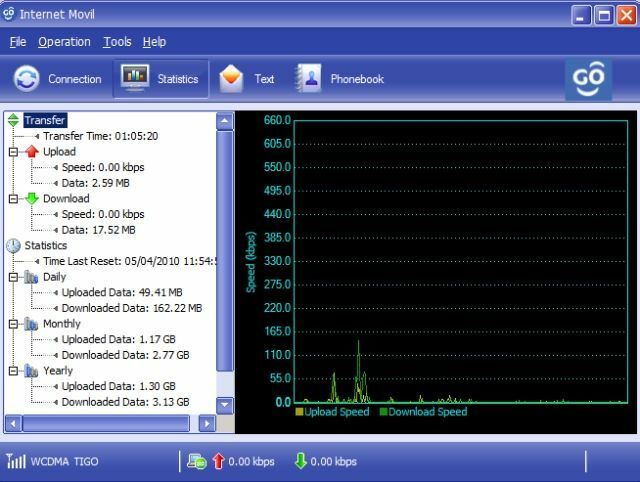 There is a statistics part of some programs that tells you bandwidth usage on the Modem. Take to the store and ask them to check. When you purchase the USB Wireless Modem, if it is pre-paid you need to put a piece of tape on the back and write the date you activated. Then the only problem you do not overuse the GIG allotment. Problem: Signal is not five bars. 1. Buy a USB Extension cord long enough to hang the cord in the window. 2. Make sure you are close to a window or open the door. 3. Line of sight with the cell phone tower. 1. Safely Remove the USB Wireless Internet Modem, reboot program, and plug in again. 3. Run Disk Cleanup to free up temporary or cache space. ﻿3﻿.﻿ Dri﻿﻿﻿﻿﻿﻿ver Problems, remove program and reinstall. ﻿Mobile Office Application: Generally this is how it works, a person can use a Blackberry Smart phone to read e-mails, and reply to easy correspondence using a Global E-mail plan Vodafone or Verizon. Then when they have situated themselves in the new country they buy a new prepaid SIM Chip that works cheaply with the local cell provider. That is installed in a USB Wireless Internet Modem, this will then allow you to use Skype.com to call developed country land line for 2 cents per minute. Call made between computer to computer connections, or Skype Member to Skype Members are free. hen, using another locally purchased SIM Card to go in a 20 Dollars phone purchased in a country, or an un-locked Quad Band phone of your own, you are now ready to receive calls. Skype.com or Vonage, and Magic Jack will allow you to have a USA or Europe telephone, that is forwarded to the local SIM card number overseas. This all is new and confusing, however in the very near future, your fifth-grader will be explaining, do not worry. Modems which use mobile phone lines (GPRS, UMTS, HSPA, EVDO, WiMax, etc. ), are known as cellular modems. Cellular modems can be embedded inside a laptop or appliance, or they can be external to it. External cellular modems are datacards and cellular routers. The datacard is a PC card or ExpressCard which slides into a PCMCIA/PC card/ExpressCard slot on a computer. The best known brand of cellular modem datacards is the AirCard made by Sierra Wireless. (Many people just refer to all makes and models as AirCards, when in fact this is a trademarked brand name.) Nowadays, there are USB cellular modems as well that use a USB port on the laptop instead of a PC card or ExpressCard slot. A cellular router may or may not have an external datacard (AirCard) that slides into it. Most cellular routers do allow such datacards or USB modems. Cellular Routers may not be modems per se, but they contain modems or allow modems to be slid into them. The difference between a cellular router and a cellular modem is that a cellular router normally allows multiple people to connect to it (since it can route, or support multipoint to multipoint connections), while the modem is made for one connection. Most of the GSM cellular modems come with an integrated SIM cardholder (i.e., Huawei E220, Sierra 881, etc.) The CDMA (EVDO) versions do not use SIM cards, but use Electronic Serial Number (ESN) instead. The cost of using a cellular modem varies from country to country. Some carriers implement flat rate plans for unlimited data transfers. Some have caps (or maximum limits) on the amount of data that can be transferred per month. Other countries have plans that charge a fixed rate per data transferred—per megabyte or even kilobyte of data downloaded; this tends to add up quickly in today's content-filled world, which is why many people are pushing for flat data rates. The faster data rates of the newest cellular modem technologies (UMTS, HSPA, EVDO, WiMax) are also considered to be broadband cellular modems and compete with other broadband modems below.